Follow our Twitch channel here for future live shows of me poking around with the very powerful editors and getting new stuff into the game! Speaking of tools; we are about to release a couple of powerful ones that will be nice for you CC sprite jockeys out there.. will be very timely for the Workshop update. Before I get to the goods, a newsflash on Cortex Command: We are indeed still working on a a nice update with Workshop integration that will allow you to publish your mods to everyone on Steam directly from within the game. There’s a lot of menu stuff that needs to come together still, but rest assured it’s well underway. Also.. some long awaited bug fixes are in the pipeline (seam gib bug, i’m looking at you!). Keep eyes peeled on our twitter feed for the latest on when that drops. The particles will definitely be put to good use very soon as we get into the collision and particle penetration effects (e.g. bullets zinging off and through objects, with sparks flying and holes being made!). We strongly believe that realistic, detailed, and physics-driven effects add a massive amount of fun and feel to gameplay, so we care a lot about fully fleshing out these things which might otherwise seem like trivial graphical details. 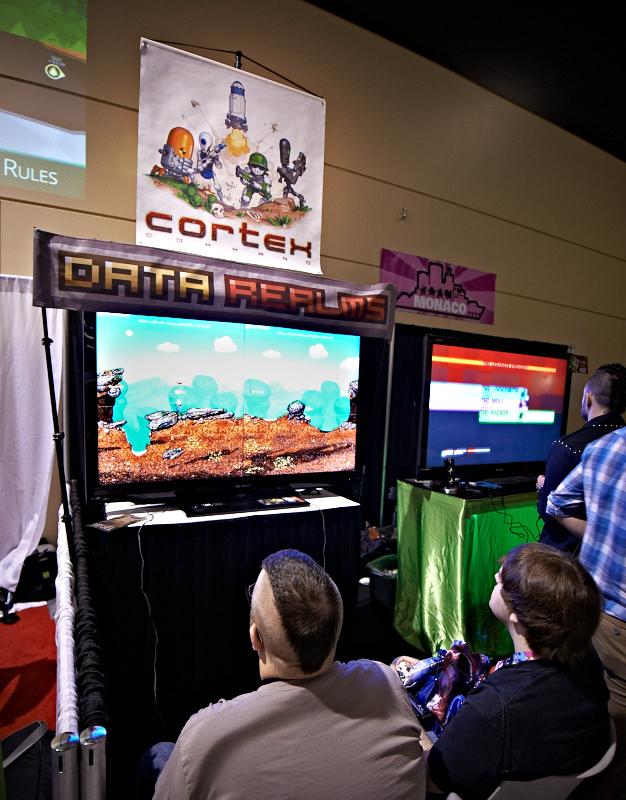 We are excited to show what we truly mean in time for GDC this year. 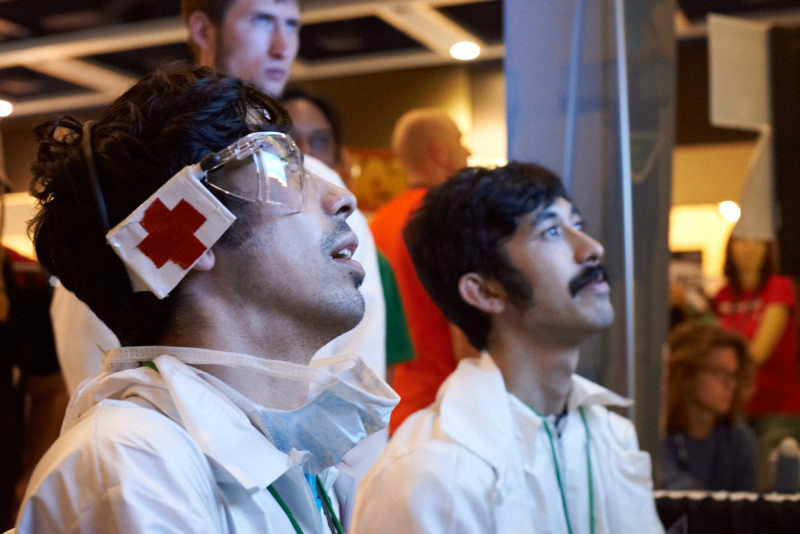 Behold FLIPBOT and Build a Tank in the FREE CVE Test Build 24! The AA-Drone now shoot SAMs at enemy craft at point blank range, unless the target is close to a friendly brain. Fixed a bug that would cause craft to self destruct when sitting still for a long time and being under player control. Fixed missing turret/mech loadouts for some techs, upped goldcost and slightly nerfed armor of silver man and whitebot. Went over and touched up every single techion gun sprite, looked a bit tame compared to the actors. Changed Imperatus actor standpaths for added badassery. The meta fight skirmish AI now pick safer brain LZs. Fixed a bug that made the human AI ignore enemies in some circumstances. Fixed a few loadout errors. Fixed a Ronin script that sometimes caused error messages to be printed to the console. Added a disarmer to every engineer loadout preset. Gave the giga pulsar the same particles per tracer as the pulse rifle, making the giga pulsar the superior choice for sustained fire, as well as an increased magazine size from 50 to 80. Improved the human AI gold dig behavior. Added the Yskely and Grasslands Mining Outpost for the Bunker Breach scenario. Fixed a bug that stopped the AI from spawning units in the Harvester, Massacre and Survival scenarios. Added a strong border layer to the bottom of most scenes. Helps prevent actors from digging too deep and falling off the bottom of the scene. Adjusted Human AI aim time. Actors shoot sooner but should miss more often. Fixed several bugs in the gold dig AI. Tweaked the human AI targeting and aiming. Made the human AI look for weapons when entering sentry mode unarmed. Updated the new rocket launcher’s targeting system so the missiles can be locked on to the ground. The new rocket launcher is now known as the Browncoat “ML-03 Flash”. Fixed an issue withe the AI where some behaviors could cause actors to ignore alarm events. The Skirmish Defense activities now remember what tech you fought the last round and picks another tech for the next round. Made the gold-dig behavior move in a straight line to the gold rather than along the path with the leas obstacles. Added the Dummy to both the Light and Heavy Infantry groups so the skirmish AI only spawn dummy AHumans. 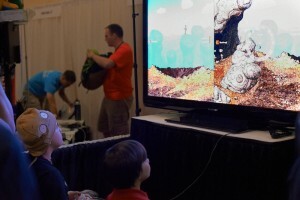 Removed the “Brain Versus Brain” activity to avoid confusion among new players (and reviewers). The same functionality is supported by Skirmish Defense. Changed the Browncoat “ML-03” to “ML-02” and made the missiles slightly stronger. Browncoat incendiary cannon (CA-01 Firestorm) and shotgun (IN-02) made stronger. Fixed a bug in the Bunker Breach scenario that would cause AI counter attacking units to go idle. Impulse Cannon no longer useless, new Browncoat Missile Launcher made slightly stronger. Browncoat weapon grip strengths increased slightly, Browncoat units no longer made of cheese. Added the “Wave Defense” activity. Increasingly longer waves of enemies, with time in edit mode in between waves. Encapsulated the AI to make modding easier. It can now be initialized with a single function call. Wave Defense: Made edit mode between waves optional. Actors on AI-teams now ignore the fog when shooting and searching for targets. The AA-drone no longer replenish its missiles between battles. Fixed bug on Ronin Heavy’s randomized armor when placing the unit from the build menu. Improved gold dig AI and situational awareness of brain actors. The human AI now reloads any held weapon before digging for gold. Made the AA-Drone look for targets slightly faster and gave the SAM a small acceleration boost. Campaign end game triggering logic fixed and improved. Now, If the team in the lead is the only team left with any undeployed brains, the game ends and they win. This avoids the unwinnable game state. Cortex Command 1.0 is OUT! While still in high school (“gymnasiet”) back in Sweden, I vowed to myself to make a game I wanted to play and that I would be proud to call a complete product. Today, after eleven+ years (I just turned 30) and the help of some extremely talented collaborators, I have fulfilled that vow! 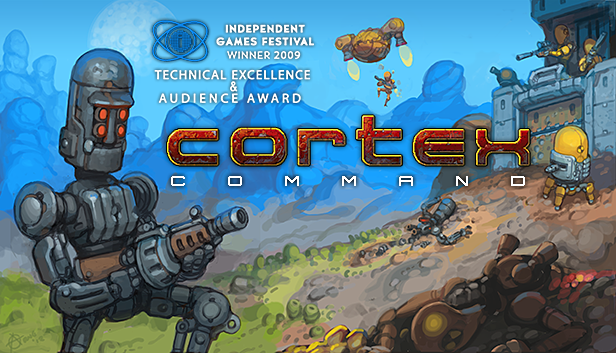 Yes, Cortex Command 1.0 is now available on this site (below), on Steam, and on GamersGate! Everyone who has previously bought the game in any way can get a Steam key, right here. UPDATE 2: Humble Bundle owners of CC can get a steam key directly on their HIB download pages. 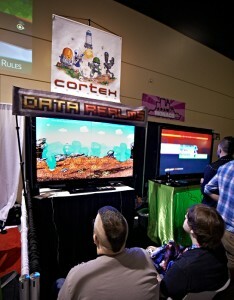 At our first PAX Prime the other week, we were proud to present Cortex Command to the gaming public, as part of the awesome Indie Megabooth! So many cool and enthusiastic people came through and playtested the crap out of it! I have since been busy prioritizing and fixing the glaring issues before our launch of 1.0.. VERY SOON. Like, for realsies. You are currently browsing the archives for the Cortex Command category.